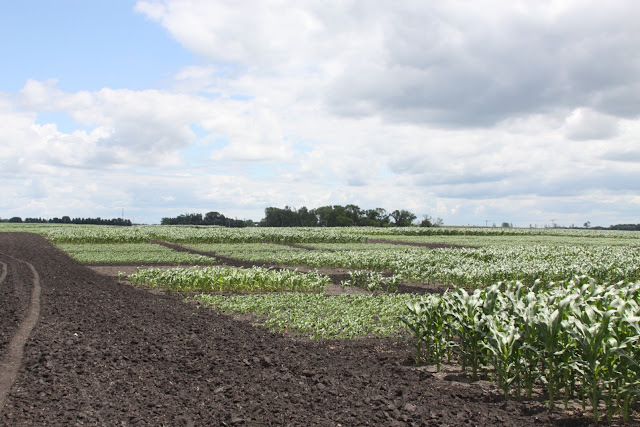 In a study funded by the Agricultural Fertilizer Research and Education Council (AFREC), and conducted by the University of Minnesota, we sought to determine the effects of N management, hybrid, population density and planting month on sweet corn yield and N use. 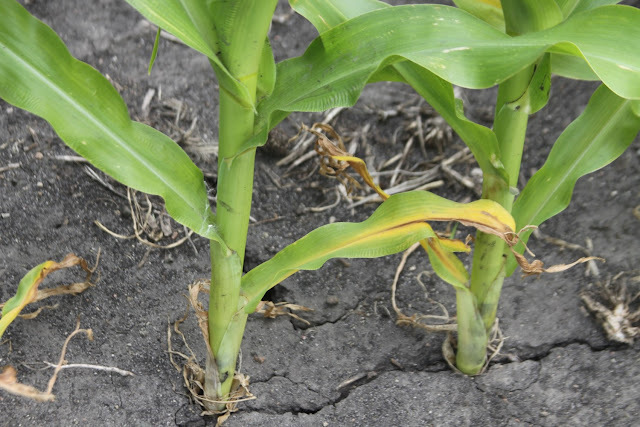 By evaluating three hybrids – DMC 21-84, GSS 1477 and GM Code 646 – planted at two times –May and June, with six different N treatments, we were able to evaluate how N applications affected each scenario. Despite pronounced differences in yield potential due to hybrid, the hybrids evaluated in this study responded similarly to N rate in terms of yield. At 120 lbs N/ac, there was almost no effect of N source or timing on yield - applying N as urea preplant, ESN (a polymer-coated urea product) preplant or split applications of urea resulted in similar yields. With adequate N application, yields were greater with high population density than low population density. Approximately 70 to 77 lbs N/ac remained in the field after harvest as stover with a C to N ratio of 32 to 35. Planting time effects on yield depended on the year. Therefore, generalizations about the effect of planting time on sweet corn N requirements could not be made. While the current recommended application rate of N for sweet corn in soils with medium- to high-organic content following soybeans is 110 lbs/ac, our results indicate that the optimal rate is between 120 and 180 lbs/ac. Until the sweet corn N recommendations are revised, an application of 10 to 20 percent more N than current recommendations is suggested to optimize yields. Based on our N uptake data and N remaining in sweet corn stover after harvest it is possible that the stover can provide an N credit for a following field corn crop. However, the data from this study do not allow us to advise on what that N credit might be for the following season. Future research will shed further light on this question.